Most of the park will close on Jan. 22 to allow staff to prepare the site for contractors who begin their work at the end of the month. Staff work includes moving and storing items to be retained such as maintenance equipment, picnic tables and trash receptacles, removing the Kidsburg fence pickets and instituting safety measures such as shutting down electricity to the park. During this phase of construction, the existing building and Kidsburg structure will be razed and replaced. During construction, the Mid County Park walking trail, basketball courts and tennis courts will remain open and accessible from the rear parking lot off Monticello Avenue. For public safety, all electricity to the park will be turned off, outdoor lighting will be unavailable, and the park will close daily at dusk. At all times, please avoid the construction area. The park is scheduled to reopen in its entirety early this summer. Saturday, Jan. 26, 9 a.m.-5 p.m.
Sunday, Jan. 27, noon-6 p.m.
Monday, Jan. 28, 3-7 p.m. If you’re unable to retrieve your pickets on these days, or if you have not reserved your picket, please call 757-592-0495 and leave your name, the name on the fence picket, your phone number and a message. 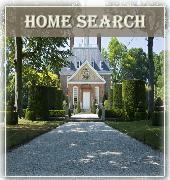 You can also request your picket online at jamescitycountyva.gov/recreation/kidsburg-picket-request.html. A plaque will be installed at the park to honor its history and those individuals and businesses that supported the park through fence picket purchases and as volunteers. 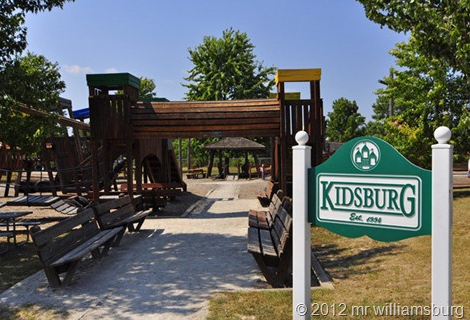 Kidsburg, a community-built playground, opened in 1994 and no longer meets ADA guidelines or current standards for public-use playgrounds. The new playground will be fully ADA and safety compliant, universal and barrier free. Project funding was appropriated by the James City County Board of Supervisors as part of the Parks and Recreation Capital Improvement Budget. During the park renovations, please enjoy the playgrounds located within our other County parks and facilities – Chickahominy Riverfront Park, Forest Glen Playground, Ironbound Park, Little Creek Reservoir Park, Upper County Park and the James City County Recreation Center, James River Community Center and the Warhill Sports Complex. In addition to these sites, all Williamsburg-James City County Public Schools playgrounds are open to the community after school hours.